Peugeot 308 GT announced | What Car? 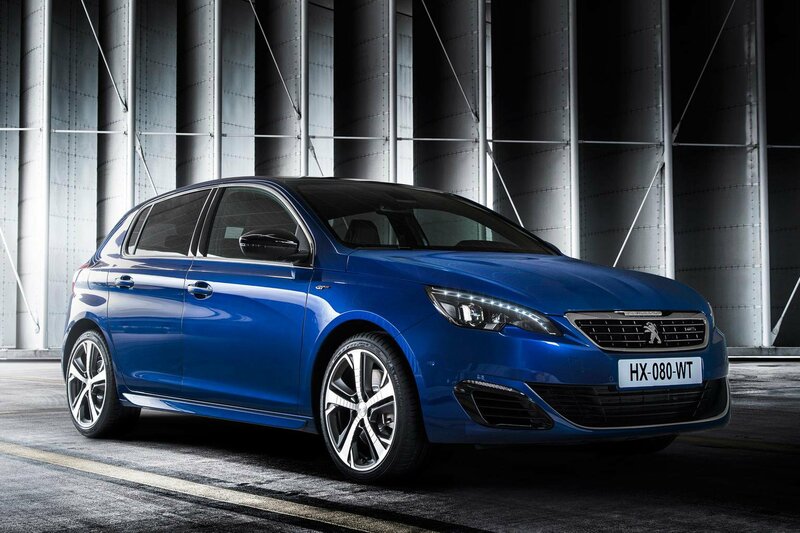 The Peugeot 308 GT has been announced as the new performance model to rival the Ford Focus ST. Available as either a hatchback or SW (estate), the GT has a host of styling and mechanical upgrades to deliver what Peugeot claims will be a more engaging and exhilarating drive. Outside, GT models have detail changes that include a new front grille, flanked by indicators that ‘sweep’ their light rather than simply flash on and off, and LED headlights. Below this, the front bumper has been restyled to include additional cooling ducts for the engine. At the sides, sill extensions, black door mirror casings and new 18-inch alloy wheels add to the visual drama, as does a rear-diffuser and twin exhaust tail pipes at the back. A new colour palette for GT models will include Magnetic Blue, which echoes the traditional national motor racing colours of France. On the inside, the performance theme continues with red stitching on the seats, a GT-badged perforated leather-covered steering wheel, as well as aluminium pedals and door-sill kick plates. These are complemented by a red-and-black colour theme for the touch-screen infotainment system. A choice of two engines will be available to order in the GT: a 202bhp four-cylinder turbocharged petrol, with 210lb ft of torque, or a 2.0-litre diesel with 177bhp and 295lb ft of torque. The petrol version is linked to a six-speed manual gearbox, and in the hatchback can manage an average of 50.4mpg and emit 130g/km of CO2. The diesel engine gets a six-speed auto ‘box which can be operated via steering wheel-mounted paddles. This is by far the more efficient option, emitting just 103g/km of CO2, while returning an average fuel economy of 70.6mpg in the hatchback. All GT models will come with lowered suspension and a driver-selectable sport pack. The latter brings a sportier engine note, red instrument panel lights, sharper throttle and steering responses, and a readout for engine power, torque and turbo pressure, plus a g-meter showing lateral and longitudinal loads. Along with the performance upgrades, GT buyers will benefit from a host of safety and convenience equipment, such as adaptive cruise control, blindspot monitoring, a collision warning and braking system, plus autonomous parking. Full pricing and specifications for the new GT model will be released in November this year when order books open, and the first UK deliveries are expected to start in January 2015.